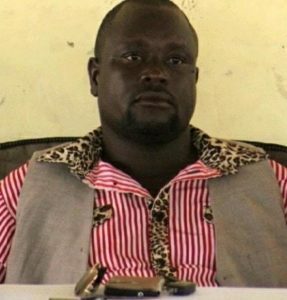 THE purported reconciliation between the two squabbling factions of the Ondonga Traditional Authority (OTA) following the death of King Immanuel Kauluma Elifas last month was short lived. 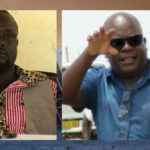 A faction of the royal clan headed by Oscar Sheehama and Konisa Eino Kalenga has thrown down the gauntlet and is expected to approach the High Court on an urgent basis next week seeking an order interdicting and restraining prince Fillemon Shuumbwa Nangolo from performing or participating or continuing with or giving effect to any ritual or a preparatory step regarded under Ondonga customary law to be a ritual or preparatory step to be installed as successor to the late King Elifas in contravention of Section 4(1)(a) of the Traditional Authority Act and or in contravention of Ondonga customary law on designation, nomination and or enthronement as a king and or chief and or head of the Ondonga traditional community. Prepared court summons seen by Informante list prince Nangolo as the first of 18 respondents. The other respondents include the minister of urban and rural development and the Ondonga Traditional Authority. 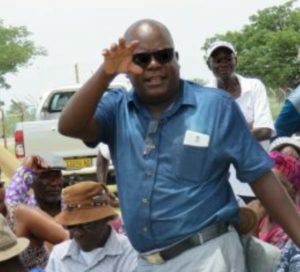 Approached for comment, Nangolo said that he “heard that a case is being prepared” and will possibly be heard in court this month seeking a restraining order against his enthronement as late King Elifas’ successor. However, he refused to comment further as he has not yet seen the summons. It is believed that Nangolo was designated as King Elifas’ successor in 2002. A letter signed by late King Elifas and dated 2 July 2012 reaffirmed Nangolo’s status as king-designate. King Elifas stated in the letter that the designation of Nangolo as future king of Ondonga was done in accordance with customary norms and was meant to allow the future king to gain hands-on experience and to eliminate any uncertainty as to who the king-designate was. Because of his status as crown prince, Nangolo represented King Elifas at national and international events. The authenticity of late King Elifas’ letter is now being questioned by some. While the squabbling factions are preparing to head to the High Court, preparations for the state funeral for late King Elifas are progressing and the much loved king will be buried at Olukonda on 13 April as planned.